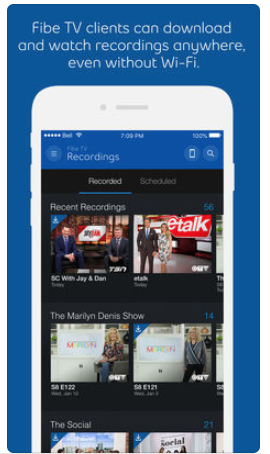 Bell has updated their Fibe TV app today, to now enable customers to download their PVR recordings to their iPhone or iPad to watch offline. According to the company, they note “Fibe TV clients can download and watch recordings anywhere, even without Wi-Fi.” This feature means if you’re travelling and want to watch your recordings, you can now do so without the need for using up your data plan, or trying to find a Wi-Fi hotspot. Today’s update also includes unnamed small enhancements and bug fixes. Earlier this week, the MyBell iOS app was updated to let customers manage their TV channel lineup in the app, plus also make purchases for pay-per-view and more. Click here to download Bell Fibe TV for iOS in the App Store. Let us know how this update works for you.